This Manfrotto Pro Light Camera Element Cover will protect your valuable camera equipment from the outdoor elements so that you needn’t worry when you want to capture moments in the rain. Perfectly designed for both small and medium sized camcorders and their accessories, the cover slips on effortlessly and you can easily see the camera controls through the crystal clear thermoplastic polyurethane (TPU) panels. This means that, even in poor weather conditions, you’ll still have control over your camera so that you can capture those all-important shots whatever it’s like outside – without exposing your camera to the harsh conditions of wind, rain or snow. 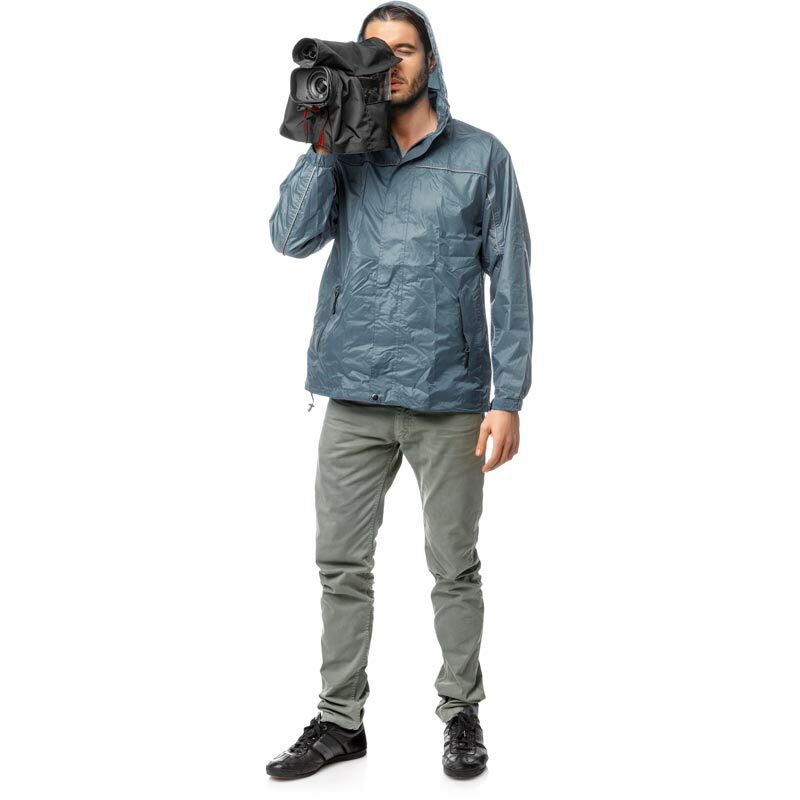 This video rain cover will also protect your equipment from dust if you’re shooting on location or want to keep it safe while in storage. No vents are blocked thanks to the open underside of the camcorder, which means that this cover can be used when you want to connect your camera to tripod for the ultimate usage. Perfect for both beginners and intermediate photographers, videographers and travellers who want to capture everything their destination has to offer without worrying about damaging their equipment.